Many of us find ourselves on our feet all day at work. Whether you work in an office, a factory, a field, a hospital, or anything in between, there is a good chance that you put a lot of weight and stress on your feet every day. The thing is, that stress can also manifest itself in the other parts of our body. It is a similar situation to back pain. For back pain, people often get massages, so it makes sense that there should also be foot massages, right? Reflexology is much more than a foot massage, but at its foundation, that’s the easiest way to describe the process. This specific area of massage therapy also includes the hands and ears, making it more of an extremity massage than a foot massage. Reflexology is an alternative treatment for a wide variety of conditions, as mentioned above, and has been in use for thousands of years. The ancient Chinese and Egyptians have documented practices similar to reflexology as a treatment for certain afflictions. It involves the reflexologist applying pressure to specific areas in the hands, feet, and ears that affect certain reflex areas of the body. Imagine that there is a connection between zones of your feet and hands that represent certain areas of your body that can be adjusted or managed through these zones. A lot of the theory behind reflexology has to do with aligning your qi, but even for those who normally don’t invest much in this discipline of health, there are plenty of scientific studies that have supported the claims of reflexologists. Circulation: One of the most well-known and verified benefits of reflexology is an improvement in circulationthroughout the body, which means that blood and oxygen are being cycled through the body more effectively. This means more oxygen reaches vital organ systems, thereby optimizing their functioning and further increasing the metabolism. This also results in faster healing and re-growth of damaged cells. 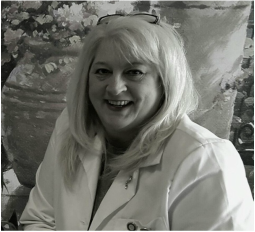 To schedule a reflexology appointment with Donna, our in-house Reflexologist, call 859-282-0022. 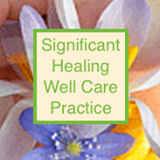 Donna received her Reflexology Certification from the International Institute of Reflexology in April 2003. This certification allows her to do hand/foot reflexology therapy on clients to help eliminate toxins from the body in order to achieve overall wellbeing, including pain management. She enjoys the ability to enrich lives through touch, allowing people relief and relaxation which she feels is important in life. She was Born in Covington, and has lived the majority of her life in Northern Kentucky. She worked on my daughter's feet when they were little, and they inspired her to use her 'soothing' touch to help others feel better.